Blue Cross RiverRink Winterfest, Philadelphia’s largest outdoor ice skating rink and winter wonderland, returns to the waterfront. Blue Cross RiverRink will celebrate its 23rd year as an outdoor ice skating rink this season, while Winterfest is back for its fourth year. The festive space at Penn's Landing has become a go-to spot for the holidays. It opens for the 2016-2017 season on Nov. 25. 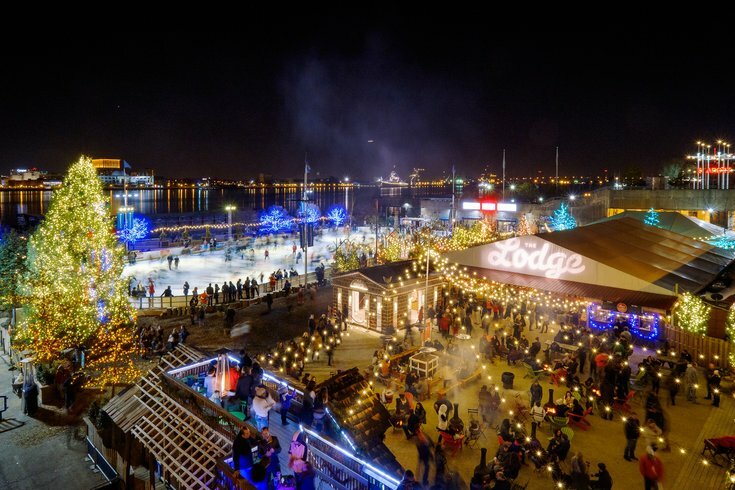 Surrounding the ice skating rink, there are trees and shrubs adorned with colorful lights, fire pits, decorated warming cottages, Franklin Fountain Confectionery Cabin, a large decorated holiday tree and The Lodge. The Lodge Restaurant and Bar houses couches, an indoor fireplace and arcade games. On the porch, there are rockers and heat lamps. 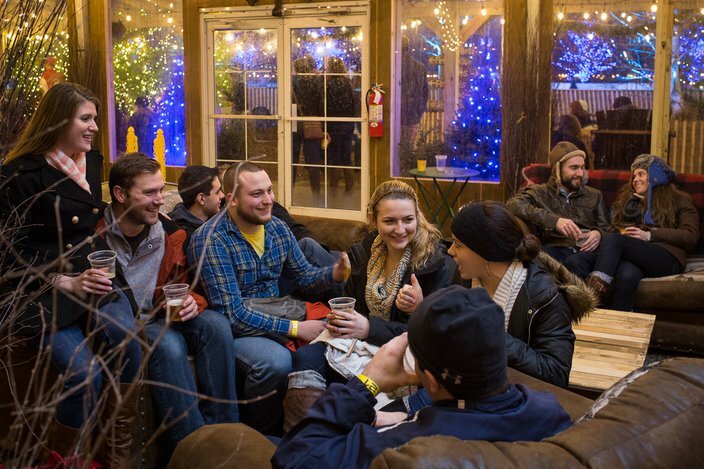 Blue Cross RiverRink Winterfest is expanding its food and beverage options in The Lodge this season to include Chickie’s and Pete’s, alongside Garces. Bars in The Lodge will feature local craft beers, wine and seasonally inspired drinks. Grab a drink during Winterfest in The Lodge. Winterfest is free to attend, just pay-as-you-go for food and drink. To skate, admission to the rink is $3 per person (free for Independence Blue Cross cardholders and employees) and $10 for skate rentals. On Nov. 25, skate and get a photo taken with Queen Anna, Princess Elsa and Prince Hans from Disney's "Frozen." Guests can also enjoy a flower crown workshop, a balloon artist and face painting. On Nov. 26, a few of the newest friends from J.K. Rowling's "Fantastic Beasts" will be available for photos. Skate with Newt Scamander and the witches Tina and Queenie Goldstein. Off the ice, enjoy LEGO building activities, a balloon artist, a prize wheel and magicians. Butterbeer will also be served.